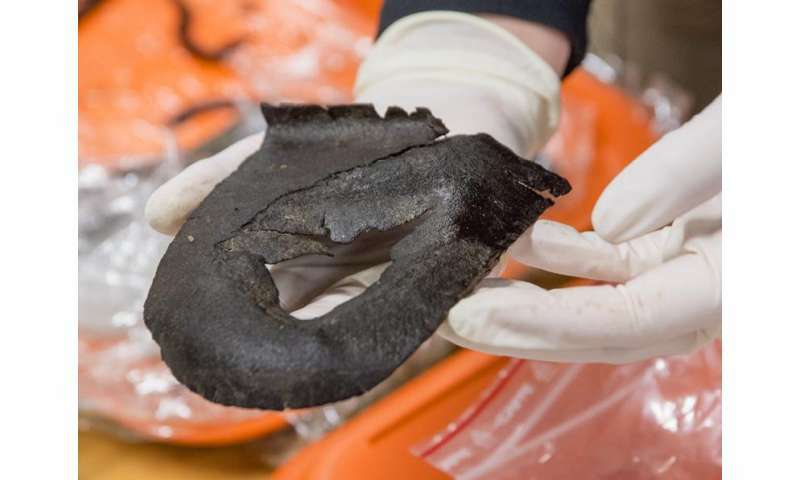 "This toy boat says something about the people who lived here," said Ulf Fransson, an archaeologist at the NTNU University Museum and one of two field leaders for the Ørland Main Air Station dig, where the well and the boat were found. "First of all, it is not so very common that you find something that probably had to do with a child. But it also shows that the children at this farm could play, that they had permission to do something other than work in the fields or help around the farm." 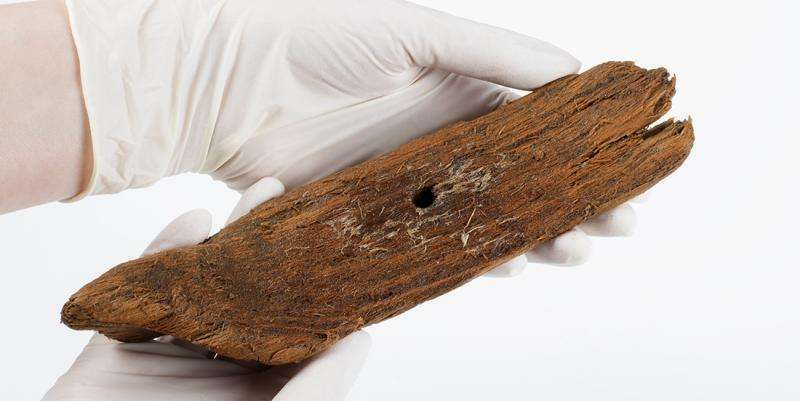 Finding a 1000-year-old Scandinavian toy boat is not that common, but it's not that uncommon either. In fact, a similar boat, in both age and construction, was found in downtown Trondheim in 1900, when the road in front of what is now the Trondheim Main Public Library was dug up to install sewer pipes. The finds from the city at that time included a big spoon, different handles, pegs made of wood and "a little boat," according to the acquisitions list. 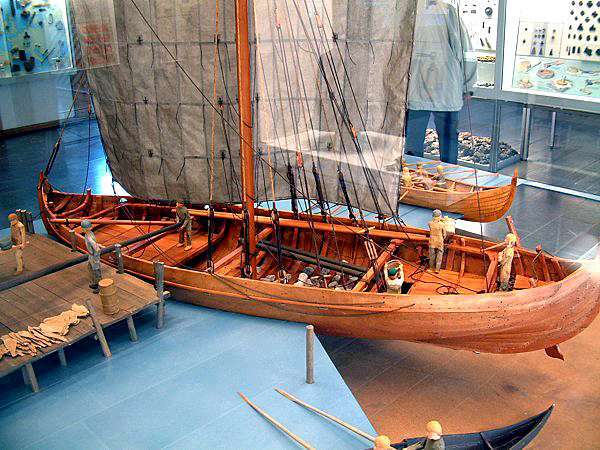 This particular boat is even on display at the NTNU University Museum. But in the Middle Ages, Trondheim was already established as a trading post and a city, one that was the nation's capital during the Viking Period until 1217. The concentration of people, and the wealth generated by trade almost certainly ensured that at least some children had the time and ability to play—and thus toys, like the boat, to play with. "The Middle Age farm here is far from the sea, it is not that strategically located," she said. "There are other farms in Ørland that were better located." "If you built a Viking ship or a knarr (a type of boat), both children and adults would have thought it was very important, it was very specialized construction," he said. "This is a 'real' boat. You don't have to do this much work to make a toy for a child," Fransson said. Whoever made it "worked to make something that also looked like a boat." A realistic looking toy boat would thus have been perceived as "really cool, just like kids today think that race cars or planes are really cool," he said. Ørland is a rectangle of land on Norway's outer coast that looks like the head of a seahorse jutting into the Atlantic Ocean. But it didn't always look this way. This rebound created many changes along Norway's coast, most notably when land that was once an island rose up and became a part of the mainland, or an area that might have once been a shallow bay became dry land. Ørland is one of these places. 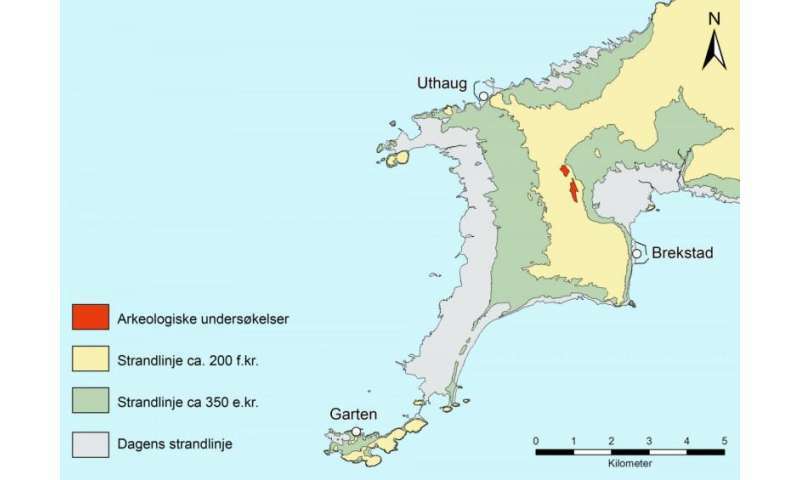 In roughly 200 BC, during the Iron Age, Ørland's big chunky peninsula looked more like a thin curled finger, with a big bay trapped on its southern side. Now that bay is dry land, nearly 2 km from the coast. Ørland's fertile soil and strategic location near the mouth of Trondheim Fjord have ensured that people have lived in this area for millennia. So it should come as no surprise that the extensive dig uncovered traces of seven farms, spanning 1500 years, from 500 BC to 1000 AD. "This is one of the biggest questions we are studying, the development of farms in this area over a span of 1500 years in the past. It is fantastic material," she said. "We know very little about the organization of farming in Norway in 1000 AD," Ystgaard said. "We have investigated almost no farms in rural communities in Norway from this time." But with the wealth of information collected from Ørland, "we can look at the social development of farms during this period." But when the radiocarbon dating information came back, it was "big news," said Ystgaard. "We found shoes that are contemporaneous with Olav den Hellige," who was king of Norway from 1015 to 1028. Finding the shoes —which look a little like moccasins, with a leather sole and simple, form fitted shape—also tells the archaeologists that the farm was not that wealthy. "These were more of an ordinary shoe, a work shoe that they wore every day," Fransson said. One of the shoe pieces that was found was a heel piece from a large sole, with a hole worn through it. The clean-cut front edge of the heel piece shows that "the shoe was worn out and they did repair it," he said. But because the researchers found much of a whole shoe, "that tells me that they weren't that poor either, because they had the means to throw (a whole shoe) out," he said. The shoe had been cut to fit the individual's foot and probably fit reasonably well, Randerz said, but people today probably would find it thin, cold and slippery. "They might have stuffed the shoes with grass, and worn thick wool socks, but they were definitely not warm or dry," she said, studying the shoe. "It says a little about what it was like to walk in their shoes."